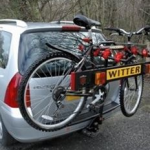 We have a large range of tow bar mounting bike carriers and trailers from all major manufacturers. 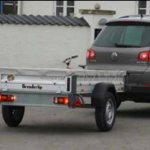 Top quality Brenderup trailers for your every need can be provided by us for domestic and commercial use. 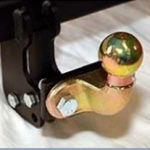 Whether your requirement is a straight forward towbar price to fit at home, or more detailed information such as towing weights, cycle carriers, trailer security or information on the latest wiring harnesses, we have the expertise and vast knowledge to help you through the process and ensure you correctly order the item that you need. 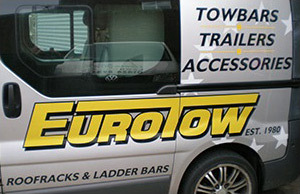 We supply and fit towbars at our workshop in Eastbourne, from a wide list of leading manufacturers including Witter, PCT, Brink, GWD, Watling, Westfalia and Eurobars. If you require accessories to complement your towbar, we supply a full range including: couplings, mudguards, jockey wheels, hubs, clamps, trailer wheels, winches, lights, lighting boards, electrics and brakes. We fit for all the main dealers in Eastbourne and East Sussex including Ford, Renault, Volvo, Mercedes, BMW, Audi, Kia, Fiat, Vauxhall, landrover, Citroen, Skoda, Volkswagen, Seat, Suzuki, Peugeot and Mitsubishi. We code the vehicle after fitting in-house now with our up to date electric soft wear. Everything from start to finish is done by professional fitters with 30years experience – no need to go to main dealers as they come to us. Call us now to speak to our experienced staff or contact us by email.